I'm using the term 'lately' pretty loosely in this case as it was months ago that I made this dish but it was so good I had to include it in this post! I'd seen variations of this idea floating around on the internet on different websites and I couldn't resist finding out if it tasted as good as it looked. Battered tofu is used in place of fish with nori sheets, usually used for sushi, to give a little extra flavour. For my version I took a little shortcut with the batter by using a gluten free packet mix from Isabel's which worked perfectly to give that delicious crispy coating. 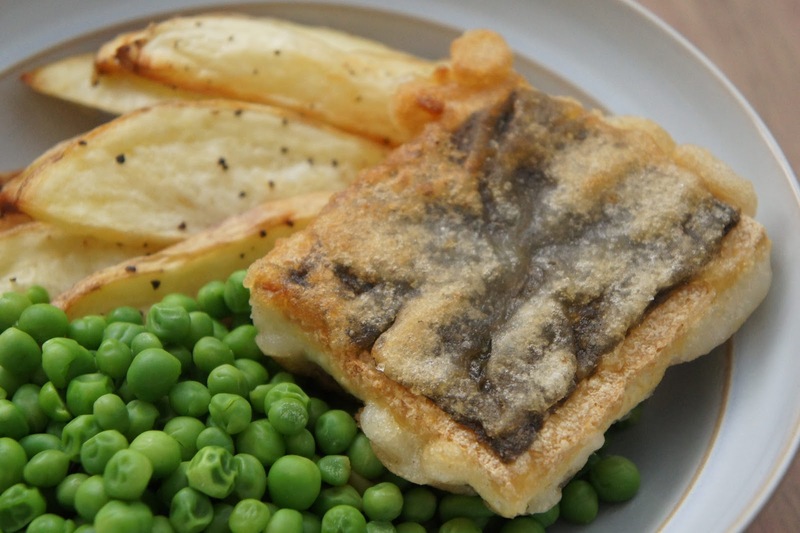 Served with homemade wedges and petit pois this is a really enjoyable alternative to fish and chips. Testing out this recipe was part of my process for reviewing Power Plates, a plant-based cook book due for release in January which I received a copy of through Netgalley (keep an eye out over on Blogger's Bookshelf for my full review!). There were quite a few recipes in the book that I was keen to try out but this one was something completely different to anything I've made before. Free From dumplings aren't exactly something you see very often so I was intrigued by the idea of using chickpea flour to create dumplings that are both vegan and gluten-free. Luckily, I wasn't disappointed as the recipe was easy to make and tasted great. It's perfect comfort food for the colder months and I'll definitely be making it again! These pizza-inspired wraps are quick and easy to throw together for a lunch or snack and are a great way to use up any leftover wraps. Simply top your wraps with tomato paste, finely chopped vegetables and seasoning (I like to use oregano), then pop in the oven for a few minutes until the edges start to toast and curl upwards. Add on some dairy-free cream cheese and a drizzle of flavoured oil, then fold in half and half again. These all look so delicious! That's next weeks meals sorted! Thanks Rosie, hope you enjoy!